The Research Council of Norway supports a program called Knowledge-building Projects for Industry (KPN). In this blog you can find out more about one of these KPN-projects. Develop methods, models and tools for effective energy interaction between energy demand, excess heat/cold and thermal storage, and third party delivery to district heating / cooling. Buildings consume large amounts of energy, as much as 40% of the total energy use in Norway, but also produce a lot of energy in the form of excess heat. This energy is usually discarded into the surroundings. In the project INTERACT, the aim is to look at different ways of utilizing this waste heat through building interaction and thermal storage. There are many different types of buildings, all with different energy demands. Often the energy use in households is discussed; however non-residential buildings, such as hospitals, supermarkets and office buildings are all big energy consumers. The average annual specific energy use – that is, the annual energy use per heated areal – of for instance hospitals is 366 kWh/m², and that of supermarkets is approximately 460 kWh/m². For comparison, the average specific energy use in households was 185 kWh/m² in 2012. Energy use in a non-residential building is determined mainly by the operation time and amount of technical equipment. This explains the high specific energy demand of hospitals, which are generally in operation 24h a day, and employ a number of energy demanding equipment. Surprisingly, the energy use in these buildings has hardly reduced over the years, despite the tightening building regulations, as is shown in the figure below. Reasons for this are for instance increased amount of technical equipment, as well as higher requirements for indoor climate, increasing the demand for ventilation. In many building categories, such as supermarkets, the operation time has also increased. 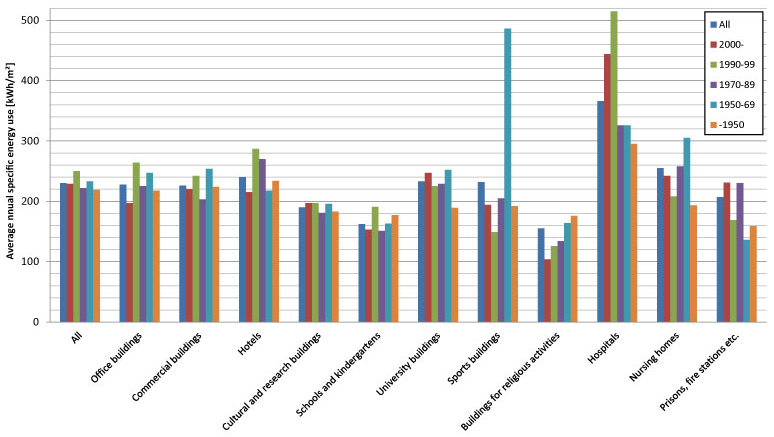 Annual specific energy use according to the building category and building year in Norway in 2011 (SSB 2013). In addition to being large energy consumers, non-residential buildings often have processes or equipment with large production of waste heat. This may be for instance a sterilization centre in a hospital, the refrigeration system in a supermarket, or a server hall in a university building. The heat might however be available at a too low temperature, or the availability of excess heat and heat demand may not coincide. A crucial technology for waste heat utilization is therefore some sort of thermal storage, typically in combination with a heat pump to produce a temperature lift. The thermal storage may be short term, diurnal storage – such as a hot water tank – or seasonal storage, such as energy wells, which store the heat into the bedrock. 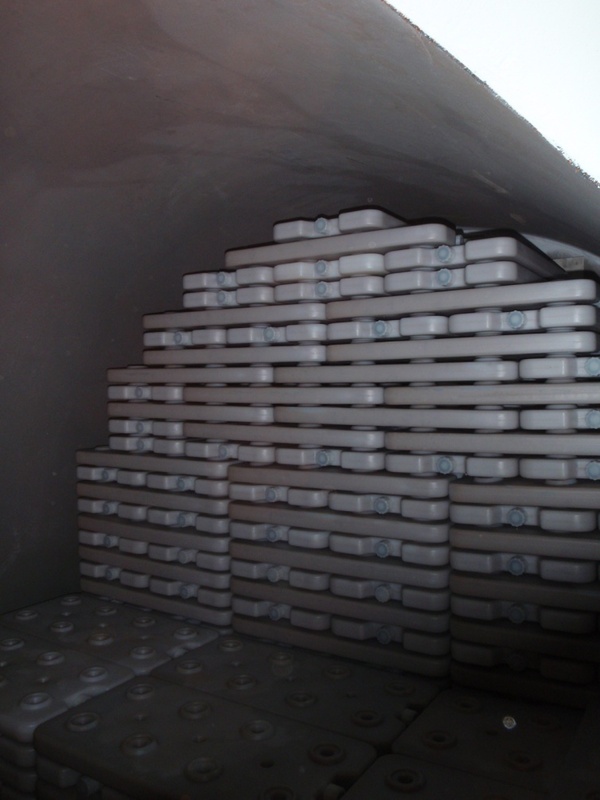 A more advanced way to store heat are phase change materials (PCM), which employ the latent heat of fusion of a material with an appropriate melting point for the storage. 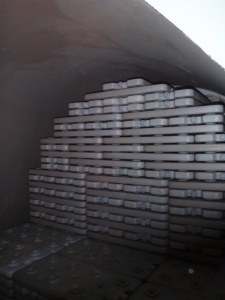 The oldest PCM is ice, and an ice/water storage can also be used as a thermal storage. This option has been considered for Posthuset in Oslo. 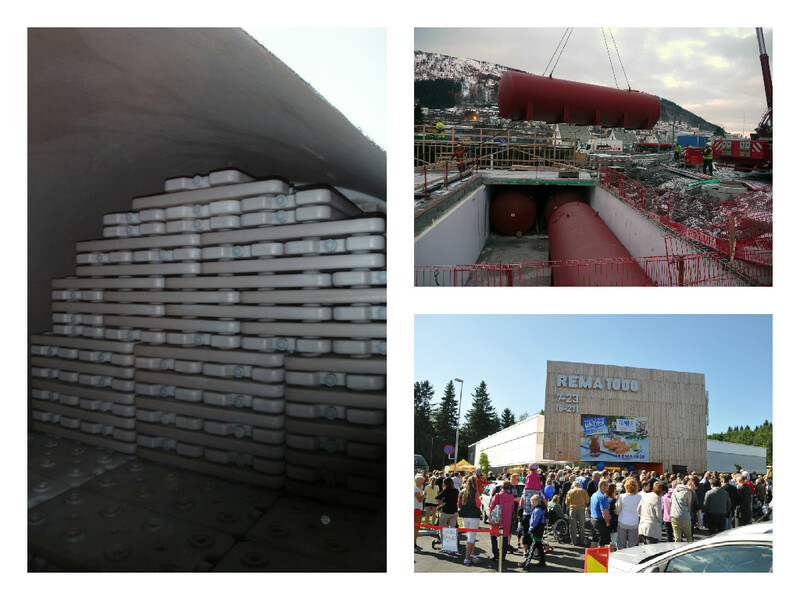 A snow storage has been will in future be applied at Gardermoen airport, and sewage will be used as an energy source. Smart utilization of waste heat can produce significant reductions in energy use. Together with researchers from SINTEF Energy Research, REMA 1000 opened a shop in Kroppanmarka, Trondheim, where the energy use was reduced by 30% by using an integrated energy system that enables the best possible utilization of the waste heat from the refrigeration system, employing both hot water storage tanks and energy wells as thermal storage. At Bergen University College, PCM tanks buried underground were utilized to store the excess heat removed by the ventilation system. This system solution enabled a 53% reduction in the cooling capacity. Another alternative for increased waste heat utilization is thermal interaction of buildings with differing heating and cooling demands. Such a solution is applied at Vulkan energy plant, which provides heating and cooling to several buildings, including hotels, office buildings, and a food central, recycling the available excess heat. Energy wells are utilized as a thermal storage. The current building regulations focus on reducing the overall energy demand, as well as switching to renewable energy sources – however, waste heat utilization has not been considered. 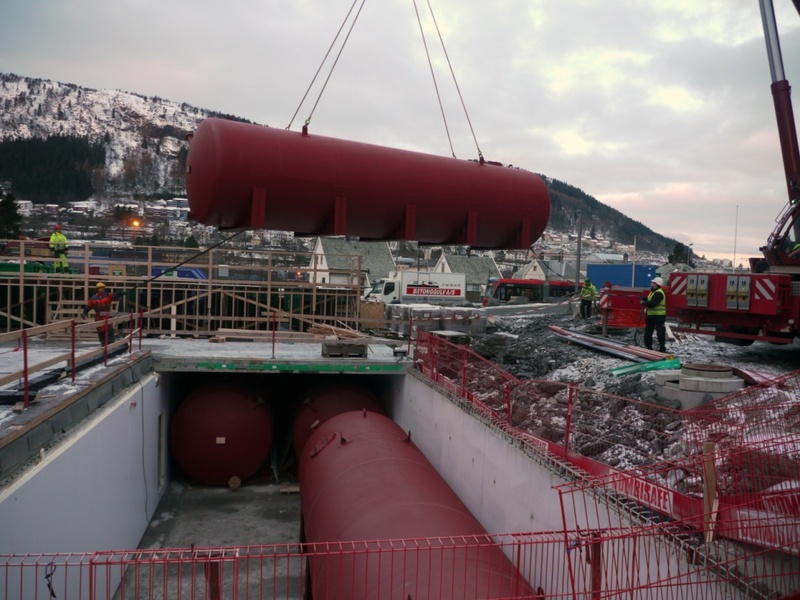 There are further no explicit policy measures in place in today’s Norway which could induce more energy storage and interaction between buildings, and hence enhance stimulate the utilization of waste heat. This barrier ought to be removed for increased utilization of this free and green energy source.